When first observing the platyceriums, one would suspect they are Platycerium bifurcatums. But closer look shows the fertile fronds are growing out from the bud in an edgewise manor. Then hangs down in a ratty manor. This suggests the plant is a Platycerium willinckii. 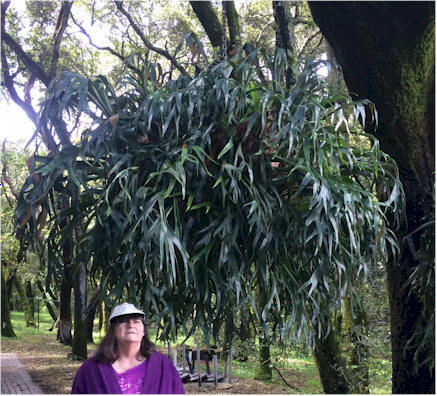 Another trait of the Platycerium willinckii is tall deeply lobed shield fronds. However as shown in the photo on the right, the shield fronds are rounded and not tall and deeply lobed. The rounded shield fronds are a Platycerium hillii trait. So this author concludes it is a cross of the Platycerium willinckii and Platycerium hillii called a Platycerium yanid. The plants photographed had most of the tops of the shield fronds trimmed back by the gardeners. One might wonder why? 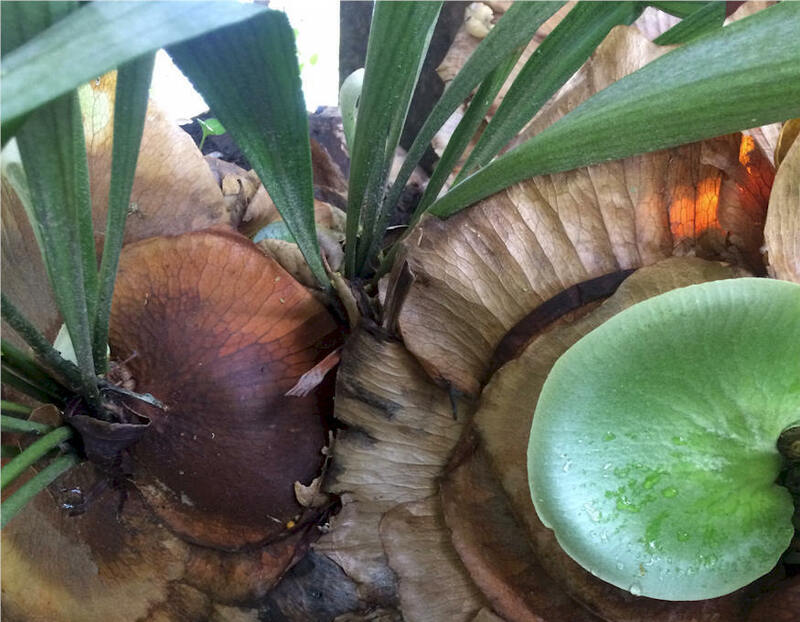 But if you consider the plant shield fronds form a ball like Platycerium hillii, you will recognize the shield fronds grow inward to form a ball and provide protection from over watering. The gardeners have opened up the ball to allow rain water to freely enter the plant. 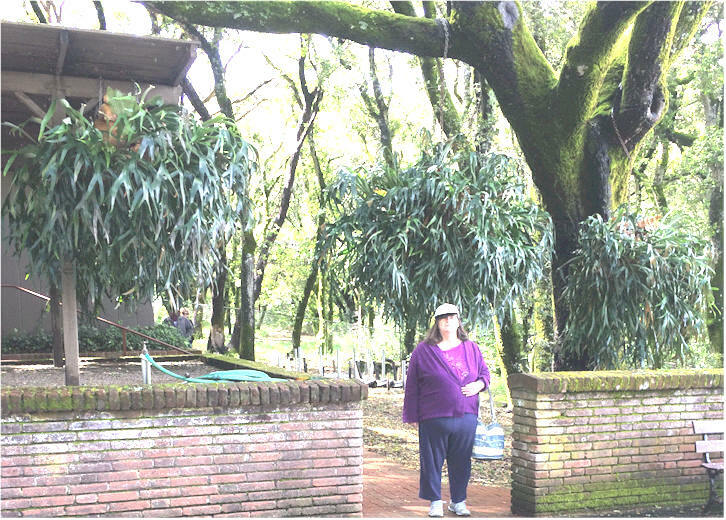 The fact excess water does not appear to harm the plant possibly stems from its Platycerium willinckii herritage which forms a basket. One thing that is surprising is this plants resistance to cold. In Woodside the temperature frequently frequently drops below freezing for short periods during the winter and these platyceriums are probably too large to move inside on cold nights. One reason they have survived is the large root ball, whereas a smaller less established plant would probably not have survived.